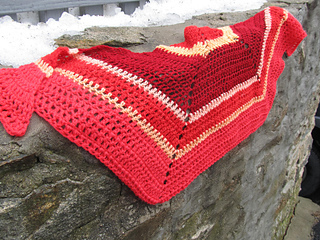 This is a very simple, top down shawl, that is shaped like a half hexagon, or in other words, Three Triangles. 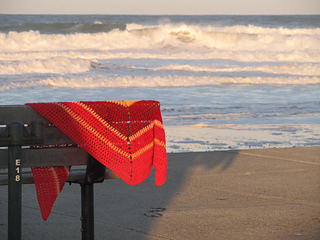 It’s a fabulous stash buster, and you can use any yarn, in any weight, with any gauge that makes you happy. 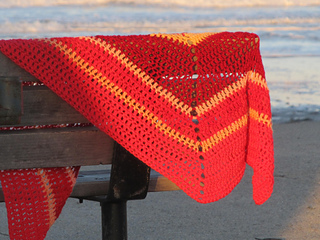 Made in one solid color, it’s a great guy’s shawl; made with stripes or a self-striping yarn, it’s more suited for a woman. 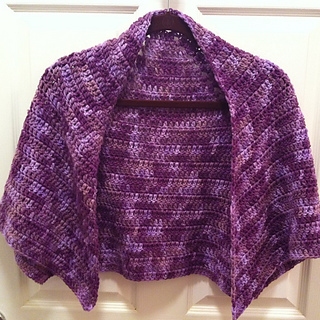 Included in the pattern are some options for getting you started in customizing this shawl to make it your own. There are also two versions for you to download: a one page file with no photo (and not much spacing, either), great for saving paper & ink and good for sharing with your charity groups, and a two page, “prettier” version, complete with photo & the text spread out a bit more for easier reading. 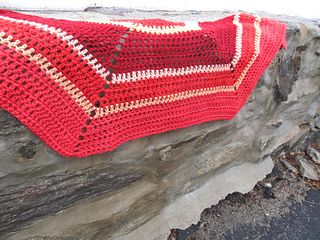 I ask that if you like this shawl pattern, you either make a shawl for charity or donate money to the Alzheimer’s Society of America. 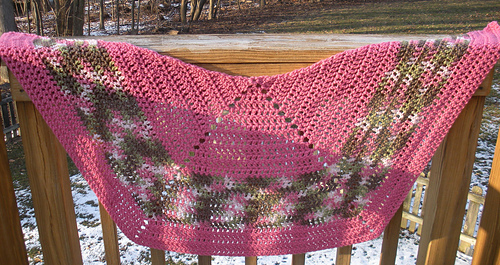 Permission is also granted for teachers to use this pattern in a classroom setting as long as all students are asked to please donate a shawl to charity. 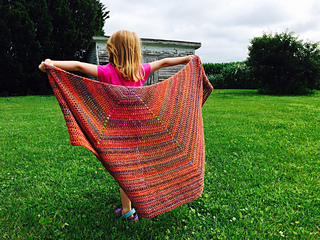 Thank you to CollieGrl64, ppremdas, marjos, debspugs, dtf1983, beverlygoulet, Blacky67, pixie56, Marifly, harnish408, cfbandit, and artlikebread for testing this shawl, and for so many of you donating your finished shawls to charity. You are the best as always!